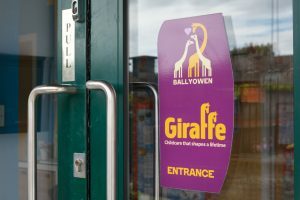 Giraffe Childcare Lucan is situated in the heart of a residential area and is a purpose-designed crèche located beside Ben Dunne’s Gym at Ballyowen Lane. The centre is en route from Lucan, Clondalkin, Palmerstown and Inchicore. 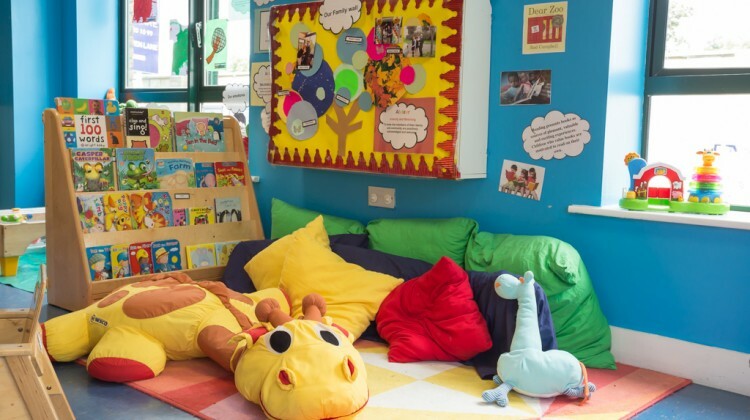 Our crèche has 7 spacious rooms, all brightly decorated and arranged to offer each child the chance to explore and investigate their environment with lots of opportunities to enjoy messy play and art activities. 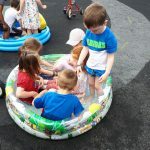 Our environments is arranged to offer each child the chance to explore and investigate their environment, supporting their natural curiosity and love of learning. 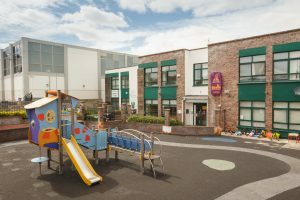 We offer a broad curriculum underpinned by Aistear and Siolta frameworks encouraging children to learn the skills that they need to develop in to become confident, happy learners. 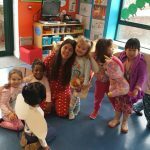 We care for babies and children up to 5 years with both full, part-time and ECCE places available. 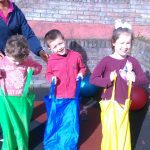 We also provide a vibrant afterschool service, providing after school care for children up to the age of 12 years with drop off and collection arrangements with 5 local schools. Our opening hours are from 7.15am to 6.45pm, Monday-Friday, all year round with the exception of public holidays. All our staff are Garda vetted, fully qualified and attend regular training. 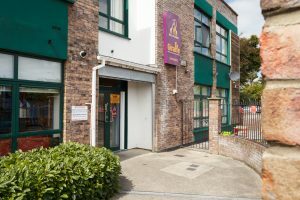 Why not visit us and see for yourself, call (01) 254 1345 and we’ll arrange a time that’s convenient for you. 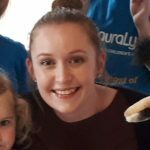 I joined Giraffe in 2003 as a carer in Parkwest and have since worked in 3 different Giraffe centres with children of all different age groups. I stepped into my role as centre manager of Lucan in 2016. I hold a level 6 Diploma in Early Childhood Education. I also have 3 children of my own so I know how busy life can be! My aim is to support our talented team in the centre and provide exceptional learning experiences for all the children in our centre. I cannot thank you enough for making Callum’s time in Giraffe so enjoyable. He has wonderful memories and he has learned a lot. He has been very happy at Giraffe and he is confident to start school in September.